Going to the dentist and getting regular dental care and treatment is an investment in your overall health. Dental insurance, unlike medical insurance, usually pays towards routine and minor restorative procedures. Since most insurance plans have an annual maximum of $1,000.00 or $1,500.00, it is often inadequate when it comes to covering more complex dental treatments. With this in mind, we’ll sit down together and go over our best estimate of the complete fees, as they pertain to you. 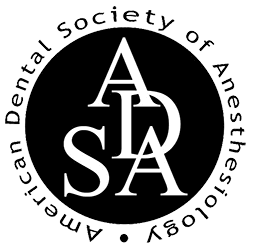 Be assured you’ll always receive full disclosure of the fees involved in your dental care. 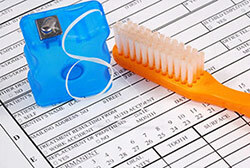 Dental policies vary, but we’ll try to maximize your benefits for you. If you have any questions or concerns, don’t hesitate to give our office a call. We participate with Delta Dental Premier, Connection Dental, Cigna PPO, Principal, Metlife PDP Plus, Guardian, DeCare Grid +, DeCare Dental and United Concordia. We will gladly, as a courtesy, fill out and submit your claim forms on your behalf. Please keep in mind that it is your responsibility to be fully informed about your dental insurance benefits. We have also recently welcomed the Wells Fargo Health Advantage credit card program as a financial aid for our patients to budget their dental procedures. Wells Fargo is offering a special financial plan that allows our patients to pay for their treatment over a longer time period, at a monthly rate. Once approved, you can access and manage your account entirely online, obtain a revolving line of credit, and have a competitive annual percentage rate (APR). We accept Visa, Master Card, Discover, and personal checks. We also participate with CareCredit Health/Dental Care Financing. They offer interest-free loans up to 12 months and low-interest options to extend payments as long as 60 months. Lending Club Patient Solutions is another financing option we participate with.